The 'must have' kit for beginners. Yes, you can! The Learning Kit for Arduino includes the products listed below. The Learning Kit is the first step for beginners in Arduino. 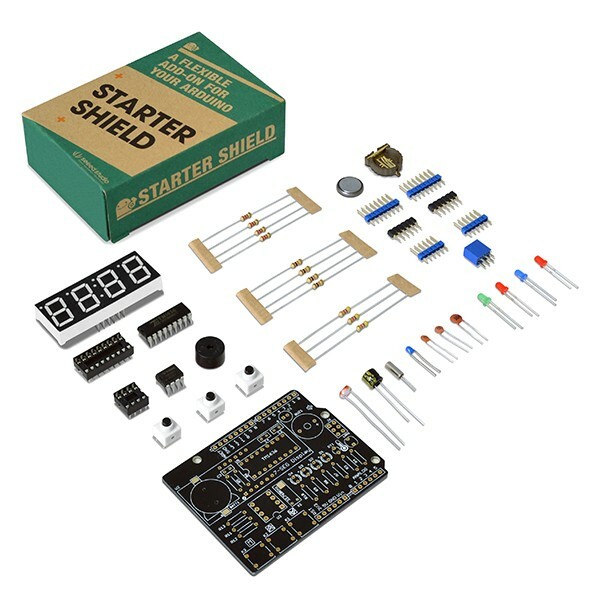 With this kit you can learn some soldering tricks and practice programming principles. It includes basic components like resistors, LEDs, push buttons or an LCD, and a shield to mount and solder on it. Light up LEDs with push buttons. Measure temperature and display the value on the LCD. Change the key of a buzzer with push buttons. Make a Light Sensor Controlled LED using the LDR. 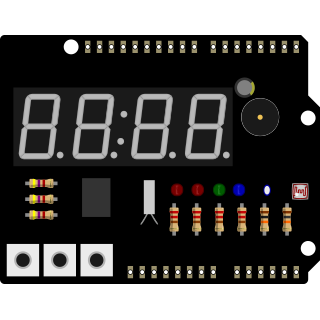 Make an alarm clock using the RTC chip.